Is a 4 day week the answer to less stress? The Green Party thinks it’s time that our working lives had a complete re-think. Whether you follow their politics or not, their manifesto puts forward a strong case for a 4-day working week. Is that crazy? Since year 2000, France has legislated for a maximum 35 hour week and they are reportedly, more productive than the UK. There are many reasons for suggesting a shorter working week and exhaustion is just one of them. Can you really be productive and effective the more hours you work? If you think that having an extra day off a week is attractive but unsustainable what about the proposal from the New Economics Foundation to have a 21 hour work week? Would this help you manage your life better? Can business owners take this seriously? Is there a benefit to productivity? There was a time in the living memory of many when six working days was the norm. As our economy grows and expands who really reaps the benefits? Is it the worker … or are we simply more burdened, stressed, over-worked and risking our mental health? On Thursday 25th October, ConsciousCafe Skipton will discuss the future of work and what we’d like to see as an employer, full-time worker, part-timer, business owner or freelancer. Click here for more details or to book. 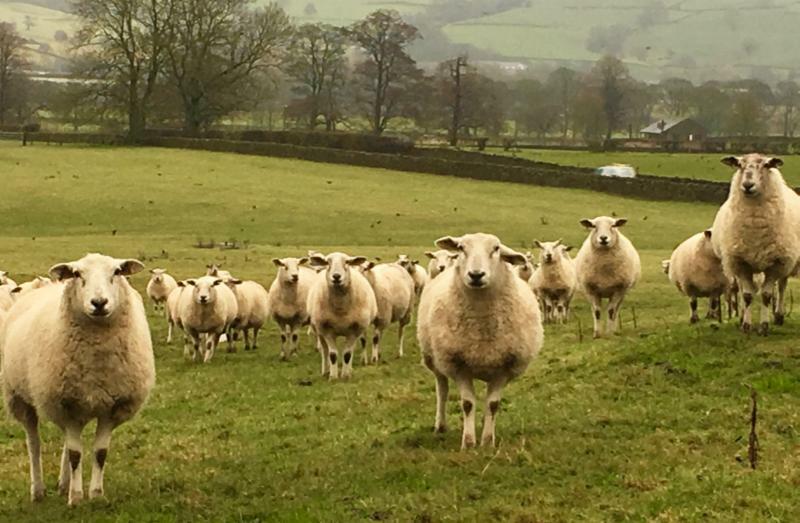 As we veer towards the end of January, we are sharing this post from our Skipton group Leader Gina Lazenby, written on Blue Monday earlier this month. Gina shares her thoughts, insights and key life events from the last few years. Today is Blue Monday …. apparently – the most depressing day of the year. Something to do with a tenuous formula for money spent at Christmas, the number of long dark days endured and returning to work in the new year. Are you feeling blue? Funnily enough, for the first time in what feels like many many months, I am feeling a bit perkier and upbeat. It is sunny here in Yorkshire and the days are getting slightly longer. But, I have to say, it has been a long haul getting here! Four years ago I made a decision to make a MAJOR life shift. In January 2014, and after almost a decade of significant overseas travel, with many many a long trip to Australia and California, I decided to have ONE home in the UK, and no longer flit from one to the other, moving stuff between my beloved Yorkshire hilltop retreat home and my city base of 25 years in London where I had held many wonderful community gatherings. Both so different…. but neither one being just the right place anymore. My stated quest was to start a new NEXT PHASE in my life and I knew that I needed a different container to support that. So, a decision was made to move out of both. It took two very long years and I finally moved out in November 2015. Many folks have been wondering what I’ve been up to since then. I have to say, life change does take time….it is more of a steady process of emergence and becoming, unlike a quick wardrobe makeover or a new outfit. And it took MUCH longer than I expected. It always does doesn’t it?! 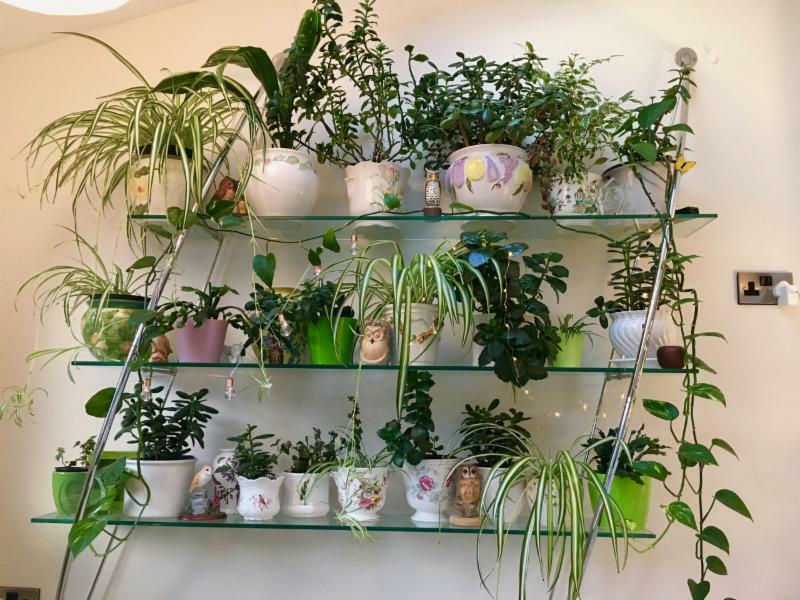 My indoor conservatory – the ornament shelf from London repurposed and now holding my collection of plants that I’ve grown from scratch. Very good feng shui – I have been growing like my plants !! For the last two years, since leaving my beloved London house, I have been setting up new foundations for myself. I am not even crystal-clear about what happens next but as Kevin Costner famously said “if you build it they will come”. So having set down temporary roots in Skipton town, a few minutes from the Healthy Home in the nearby hills, I ended up buying a small sweet house and what started as a bit of a makeover and a little extension …. became a much bigger project that took well over a year and has only just been completed. Now that this new container is done, I am currently focusing on the details of creating order, one of life’s essential support systems. Finding a place for everything and everything in its place. Oh the joy of being efficient and finding everything! One of the initiatives I did find some time for in my year-long construction project was to launch Conscious Cafe in Skipton. Judy Piatkus set this up in London six years ago and I went to many of her programs. She encouraged me to find my own community of kindred spirits wanting to have meaningful conversations and connection up here in the Dales. Tomorrow night will be our seventh event! We have had three café evenings at Hetties in Skipton talking about caring, career change and happiness, a Christmas supper evening at my Healthy Home in Skipton town taking time to review our past year, and then two Movie evenings watching documentaries “A Quest for Meaning” and Naomi Klein’s “This Changes Everything”. And tomorrow night, we are back at Hetties cafe starting the new year with a conversation about “Making a Fresh Start”. It is a subject very close to my heart. If you are within driving distance then do join us. The next date for Conscious Café Skipton is February 12th. My diary is quite spacious at the moment and I am relishing having a long breather away from the fray …. but I can feel momentum gathering in the ether (like the faint rumble of stampeding hooves in the far distance). Let’s see how this coming year unfolds. I will be in San Francisco in February for Wisdom 2.0, again, a place where I truly find my tribe. It is my sixth time attending and I’m taking colleagues with me from London, Iceland, Germany and Sydney. Four of us have been working on a program leveraging the power and potency of reinvention. It is called “From Warrior to Warrior – How to Reinvent Yourself at Any Age and Take on the World”. We are looking to arrange events and opportunities to speak while we are in San Francisco and California in February 20-28th. I am also hoping to have a chance to host a Women’s Gathering there too. Do get in touch if you have suggestions. Thank you. Keep in touch via the Worrier to Warrior Facebook page. Much of my life force in 2016 (just before the building mayhem took over my life) went into producing a series of The Rise of the Feminine radio programmes. A new series will be back this year …. so many of the conversations that I had 18 months ago are just now gathering real interest. 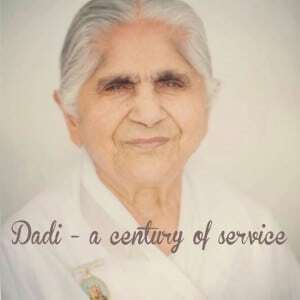 Finally, I want to share the news of my mentor, spiritual grandmother and friend Dadi Janki. She is 102 this month. Unbelievable, especially as she is still working (Head of the Brahma Kumaris World Spiritual University). Apparently she’s just been to Southern India to open a new retreat centre and has been speaking to 500 people. We are expecting her in London in April…… so that is exciting. And the community of women who we recognised in the 100 Women of Spirit initiative to honour Dadi’s 100 years, continues to gather pace. We are creating an event on June 16th to support young women and share the wisdom of older women with Millennials and vice versa! Let me know if you want an invite or know a young woman. What are they all waiting for??! PS You might find this image amusing. I noticed a field full of sheep this morning … all of them standing looking in one direction and none of them eating grass, very spooky. I just had to get out of my car and take a picture. Definitely a good image for a caption competition. Any ideas? I really enjoy attending ConsciousCafe events in London, often held in founder Judy Piatkus’ lovely north London home. Of course it’s just not possible to attend the full programme of events as I no longer live in London. And I’m sure I’m not the only who loves the Conscious Cafe experience of meaningful conversation and heartfelt connection. There are an increasing number of us who want to bring a taste of it to our home towns around the UK. It’s selfish really ….. We don’t now have to travel to London to get our uplifting fix! And so it was in June this year that ConsciousCafe Skipton was born. Another selfish reason behind me starting it was to find and connect with a tribe of local people who are interested in what I am passionate about … like-minded souls who enjoy thoughtful conversations about how we want to live life, what our values are and what we can do to help create a better world for everyone. The first meeting of the new ConsciousCafe community in Skipton was held in June 19th at our adopted home of Hettie’s Cafe at the top of the High Street. We opened the evening with a circle where everyone shared who they were and what had inspire them to attend. Riane points out that GDP measures everything except the contribution made by community work and volunteering; stewardship of nature and the natural world; and the daily work of home-making and bringing up children. Without these free, unpaid, undocumented and undervalued activities the world would simply cease functioning. There is such a warped bias in our economic system that GDP actually increases when bad things happen … clearing up after an oil tanker disaster might decimate wildlife which has no economic value on a country’s balance sheet but it creates extra wealth through clean-up costs and legal action. We are simply measuring the wrong things. Anything that is not counted and measured is then not valued. One of the key premises of Caring Economics is understanding how societies are shaped in one of two ways … either as Hierarchies with each level of an ascending pyramid held in place by fear and control. In this system, patriarchy rules and there is always one gender, ethnicity, nation, sexuality that has priority over another. In this worldview, any contribution provided by a lower value gender … women … is seen as being of less value. That means the caring and care-giving work, undertaken by both men and women, which is seen as being feminine, has a lower economic value and less impact. At the other end of a continuum, collaboration thrives under the Partnership way where power is used to empower and support each other and not to hold people back by having power over someone else. Riane says that organisations, countries and societies are all, in some way, moving along the continuum towards partnership and away from hierarchical control. The whole planet is a work in progress on this score! So, from this, with the understanding that caring and care-giving are not seen by society as having economic value, we can understand why jobs in this field attract such low pay and low prestige. Our ConsciousCafe community broke out into discussion groups and covered questions around humanity’s self-interest, what younger people are looking for, what’s in the process of changing, who is responsible for change, rewarding kindness in business life, the degree to which people work hard, educating children to think differently ….. in fact a list of questions we could have spent a weekend debating. We created much food for thought! The subject of the evening ‘caring and valuing care-giving’ attracted quite a few people to attend who actually work in the health and caring industries. We heard about the needs of patients & clients becoming ever greater and more complex in an ageing population. Although it was difficult to find resolutions and come up with answers, many people felt comforted just by being able to share their experience of the caring system and hearing each other’s stories meant that they felt validated. There was a consensus that important conversations needed to be had. By sharing different perspectives and opinions we all wake up and recognise that change will happen through a process and not by one single decision or action. Summary: Even though the subject is overwhelmingly complex and there was no greater clarity we did feel we had a greater understanding about the future and there was still a sense of hope that things will change, either because we are heading for breakdown and out of that total chaos, radical change will have to emerge … or because, the younger millennial generations prioritise much more compassionate values and so demonstrate that they could be behind the much-needed shift that their older superiors are not able to grasp. This is a summary of some of the points that emerged in a topic that we all agreed was endless and stimulating when the community reconvened for a group sharing. Change starts with us. To create the much-needed change in the world, we have to change ourselves in order to get the changes we want to see. Self care is critical, putting ourselves last in service of our community, family or employment leads to burn-out and breakdown and ultimately serves nobody. The power of leading by example. It might not look like we are making a big impact but everything we do counts and the most important thing we can each do is walk our talk and be conscious of the example we are setting. Change our behaviour, others take note. A crisis in social care. Many attendees, men and women, were from the caring professions, at the sharp end of today’s underfunded and crumbling care system. Short term thinking is causing great harm and the system is beyond is fixing requiring systemic change. Old Worldviews in charge. As the world changes, new thinking is needed and it was noted how many people in senior positions in the caring industry are older. Not all older people keep up to date and are flexible in their thinking. They lack the answers in this new connected world, one where younger people are much more fluent and comfortable with technology. As much as age carries wisdom which is important, we have to recognise that millennial have a different approach, different aspirations and new ways of thinking. Perhaps they have more answers. Millennials’ values are different. The young age group from teens to those in their 20s are open, expressive, compassionate, collaborative … everything the system changes need are ways of being that are more natural to them. They are having an impact. We have great faith in the younger generation. Caring – the jobs people don’t want. So much has changed in caring that even though it is a people business, numbers are prioritised. Less time to spend with each client / patient can be distressing for both parties when an encounter is reduced to just a few minutes. Stress levels increase and the desire to be service to the world and care about people is severely diminished when the important work done has so little value and recognition. Many carers end up broken down and burned out. Collateral damage. People leave jobs/industry. Fewer applications to join. Size brings anonymity. Globalisation and larger corporations can make interactions more faceless, less personal whereas interacting with smaller companies there is a greater chance they will be linked to smaller communities and be more accountable. The more we can create community, the more we can be self-regulating. Everybody knows you. You can more clearly see the impact of, and the outcome, of what you do ..good and bad. New solutions needed. Problems today in our healthcare and social services are so complex and seemingly unsolvable that we have to be prepared to think of the impossible! People should use their voices. Do we complain enough? give feedback.. point out what is wrong and unfair? Do my best. So much to be done and what can I do in my little corner? I can do my best. Next event: Monday 25th September. BOOK NOW. Find out more about the ConsciousCafe movement in the UK.